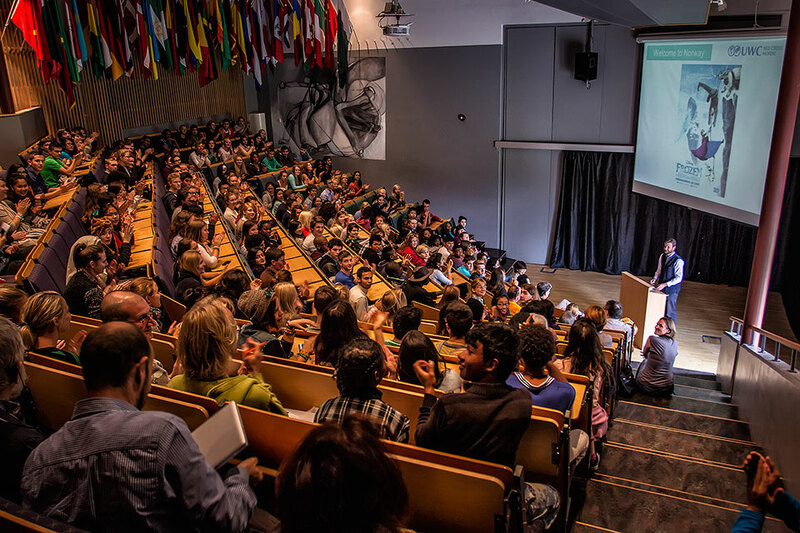 As part of our commitment to students’ futures, we strive during the course of each academic year to incorporate not only visits from university admissions counsellors but also workshops on careers. For example, In April each year, we invite members of the UWC RCN Council to deliver workshops on their areas of professional expertise. On Monday 25th August, the College invited two visitors to our campus to run workshops on journalism and humanitarian work. 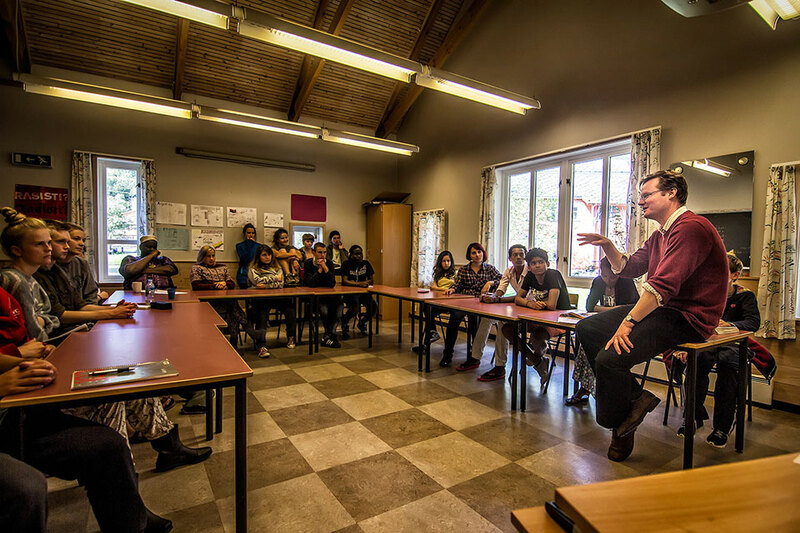 James Lamont, Managing Editor of London’s Financial Times, kindly interrupted his family holiday to talk to students about the world of journalism. Drawing on more than 20 years experience of reporting around the world, he told us of the great shift that is happening in newsrooms around the world as urgent accommodations are having to be made as news is being consumed at an accelerating rate on mobile devices. In the face of a demand for free digital content, James spoke optimistically of how quality, and news reported ‘without fear or favour’ (in the motto of the Financial Times), will always attract a readership willing to subscribe. While acknowledging himself as being somewhat resistant to change, it wasn’t hard to hear the quiet excitement in his voice as he reminded us that news is no longer exclusively delivered by the daily newspaper, but is an immediate global conversation we can all participate in. For those of our students interested in a career in journalism, he spoke about the qualities a journalist in his world must possess – integrity, curiosity, a willingness to ask questions that don’t always have simple answers, and a love of truth. Could that be a shorthand description of a UWC student? Many thanks to James for his inspiring talk, and to Larry for persuading his brother to speak to us. On Monday evening, Paul Bloomfield (Managing Director of Rosetta Consulting) gave an introduction to his career path which has taken him from the position of lawyer in both the music and the insurance industries to presently responsible for global communications and public relations for a selection of Foundations. He has a strong commitment to charitable and humanitarian projects – he is a governor of the Sir John Cass Foundation, one of the oldest and largest independent educational charities in Europe and is an active supporter of the St. John of Jerusalem Eye Hospital. He has organised a number of events for Prem Rawat events across the world including two at the European Parliament and the visit of Prem Rawat to RCN in May 2013. As part of his presentation, Paul showed the recently released film which both charts the visit of Prem Rawat to this College and explores the role of peace in today’s world. 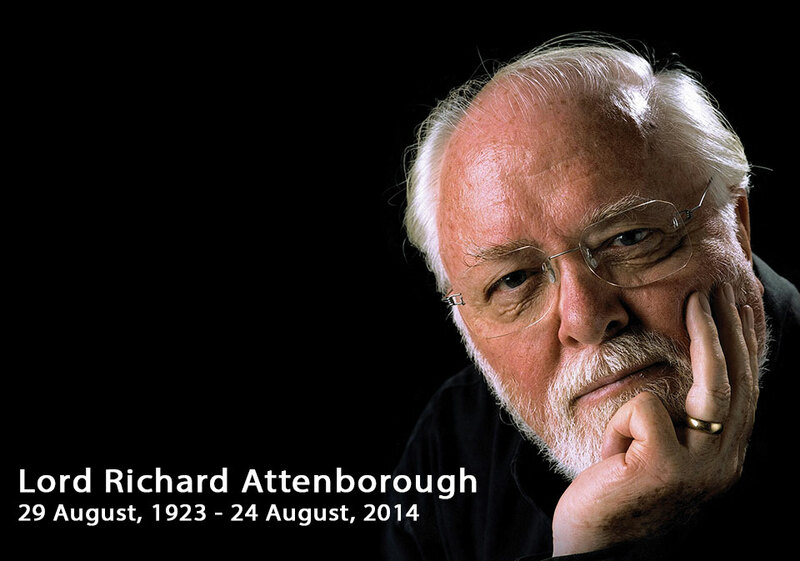 Oscar-winning actor and film director Richard Attenborough died at lunchtime on Sunday at the age of 90. Lord Attenborough was a member of the UWC International Board, an active member of the Governing Council of UWC Waterford Kamhlaba and patron of the UWC Movement for many years. Alongside his extraordinary career as a film-maker, Richard Attenborough took every opportunity to work for peace and justice and to support disadvantaged people in every walk of life. His films ‘Gandhi’ (1982) and ‘Cry Freedom’ (1987) gave compelling insights into Indian and South African political and social history. He made an enormous contribution to the UWC movement, including financially supporting many students at UWC Waterford Kamhlaba, and we are hugely proud to have had him as our patron. Waterford Kamhlaba United World College of Southern Africa joins the world in mourning Lord Attenborough, who died on Sunday 24 August 2014, aged 90. Waterford students will remember Lord Attenborough as a distinguished actor, producer and Oscar-winning director, but above all they will remember him as a loyal and generous friend of the United World College movement in general and Waterford in particular. He and his wife, Lady Attenborough, visited the school on several occasions. He enjoyed discussing football with staff members and took a real interest in the students and their activities. Lord Attenborough strongly opposed apartheid and supported Waterford, where young people of all races studied and lived together. In April 1988 he invited the IB (International Baccalaureate) to the premiere of Cry Freedom. The following day he hosted a private viewing of the film for the rest of the school at the Cinelux in Mbabane and took questions from the students. He funded scholarships for many students but, being the humble, unassuming man that he was, he never sought publicity for his generosity and insisted that the students should not make a fuss about his financial support. Lord Attenborough was a patron of the arts at Waterford. He generously funded the construction of the Sheila and Richard Attenborough Fine Arts Centre. Together with the Paul Hamlyn Foundation, he built a Drama and Music facility, the Jane Holland Centre for Creative Learning, in memory of his daughter, his granddaughter Lucy and Jane’s mother-in-law Audrey-Jane, who died in the Asian tsunami on 26 December 2004. We are grateful for Lord Attenborough’s friendship, his inspiring example of compassion and concern for others, and the artistic legacy he has left us in his remarkable films. We send our heartfelt condolences to Lady Attenborough and her family. We will keep them in our thoughts and prayers. For another overview of his life and work – from the BBC website. Nelson Mandela devoted 67 years of his life to the service of humanity – by being a lawyer, while being in prison, and by being the first democratically elected president of a free South Africa. He devoted the last 18 years of his life to our UWC movement – being our Honorary President since 1995 – and he has inspired us ever since. By giving 67 minutes of our time – one minute for every year of Mandela’s service – we made a small yet crucial gesture of solidarity with humanity. We are a movement based on values that should be cherished through devotion, passion, determination and action, and Mandela 67 was a unique chance to shed light on the incredible humanitarian projects we have at Red Cross Nordic and the wonderful teams behind it all. It is amazing to know that we all have the opportunity to make a difference for someone, and that our fellow students and friends work hard on an everyday basis to make projects like these a reality. That is, in my opinion, what makes our home magical. Thank you to everyone who lend a hand and made the Mandela 67 event possible! I’d like to take this opportunity to welcome back the second years after their summer break and to extend a huge welcome to all those first years in the auditorium today. Throughout yesterday afternoon and evening, I was so delighted to hear the Red Cross Nordic traditional welcome being given to new arrivals – some jet-lagged, some a little homesick but all excited at the prospect of a new beginning here at RCN. I kept a postcard with a quotation from Che Guevara’s ‘The Motorcycle Diaries’ on the wall in my office during the course of the last two years: ‘What do we leave behind when we cross each frontier? Each moment seems split in two; sadness for what was left behind and the excitement of entering a new land’. For many of you, this is a new land with challenges to face and new languages to learn. There will be moments when you are lost, unsure and a little wobbly over the next couple of days and weeks as you learn the rhythm and secrets of Red Cross Nordic. Please do not hesitate to ask fellow students and staff for direction and guidance. You have now arrived in a magical land – one that inspired the makers of Disney’s most successful animation ever, ‘Frozen’, when they designed the landscape of the fictional kingdom of Arendelle with its snow-capped mountains and icy fjords. Alessandro – from Italy joins our Maths Department; Sofia (Sweden) and Avis (UK) join our team of literature and language teachers. We have four volunteers under the excellent guidance of Hilde, our FK Coordinator: Pui and Aoey (Kornkamon and Phornthip) from the Mercy Centre in Bangkok, Thailand; Badra and Senia will join us from Western Sahara at a later stage. Erik (Sweden), Tonje (Norway), Hayley (UK) and Mareike (Germany) join the Outdoor Department; Agnes and Elinor join us as interns from Romania as part of a partnership with Universitatea de Vest din Timisoara – and will be here for the first month of term. We have a new chef, Peter Schönen, joining the kantine team from September. We all hope you enjoy your time at RCN. Kip (Canada) returns from a leave of absence in China to take up his position in the Maths Department and Mariano (Argentina) returns from a leave of absence including a year teaching at UWC USA and takes up his position as a teacher of Spanish. It is exciting to have you both back on the education team. In terms of new roles for current staff, I am delighted that Summer has taken on the role of Director of Residential Life – and I am certain that she will give her absolute all to supporting students, House Mentors and Advisors in our residential context. Judit will also be taking on a new role as the part-time RCN Sustainability Team Leader with responsibility for developing our environmental pillar. Madhulika has kindly agreed to take Campus Responsibilities under the extra-academic umbrella. We also have some wonderful additions to the Advisor team alongside the teaching members of staff: Edmund will be joining Norway House and Andrew will be joining Sweden House. Over the summer, our campus has been very busy with Red Cross Summer camps for underprivileged families from this region. The weather has been stunning throughout June and July – and it has been such a pleasure to see the campus and Flekke fjord alive with activities throughout the holiday season. It is also an opportunity for the cleaning and maintenance staff to work on the cleaning, painting and repairs of many of our buildings – and I am hugely grateful to the support and administrative staff on campus for their work and commitment.. It has been very helpful for me, as the Rektor, to observe the invaluable work and running of the College out of term time. Barbara and Leonie have worked hard on travel and visa requirements and to ensure the smooth arrival of so many of you. 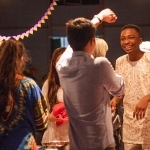 The Summer Course students and volunteers have been here on campus for over three weeks as preparation for the launch of the academic year with the emphasis on learning English and confidence building. I’d like to thank Pete and Madeleine, the Summer Course Coordinators, for their insightful and committed delivery of the programme and to the volunteers for their energetic and supportive contributions throughout. In fact, I asked if I could do a special session with the Summer Course students last week so that I could introduce them in advance to the key messages of this address – and I have asked them to sit today next to a fellow student who can help translate. Other summer highlights here in the fjords included: the climb to the top of Norway’s highest mountain by a group consisting of members of the College, the Bergum Mottak and the Red Cross; the news that our neighbour and partner, the Rehabilitation Centre, had won financial funding for the next six years from Helse West; the annual Førde Traditional and World Music Festival in July – a truly international experience with 100 events, 300 artists from 30 countries, ranging from Cuba to Kurdistan; Yeison, one of our second years from Colombia, winning a fishing contest against fierce local competition. And the superb article about RCN published in two German newspapers. Heinz Sebold, a German journalist and to some extent an initial critic of the UWC Robert Bosch project, came to visit RCN in May and was hugely impressed with what he saw. After the publication of the article, he wrote to me with the following observation: ‘I had the honour to meet … the staff, the students and a school at its best. I would have liked to be at such a school when I was young’. I am also pleased to hear of projects second years have been working on over the summer in your own regions – from Southern Africa to Nepal, from Panama to Ghana – and I look forward to hearing of other projects in the days to come. The Staff Introduction week – alongside the standard coordination of the beginning of term – focused on a professional development day linked to the Humanitarian, Environmental and Nordic pillars – ranging from beginner courses in Norwegian and English languages to an introduction to social entrepreneurship and a concept called ‘circular economy’. Both Support and Education Staff also had the opportunity to take part in a training course on ‘mindfulness’ led by a highly respected external consultant – and I sincerely hope that all the training has a positive impact on our community here at RCN. We also set aside time to discuss our IB results and how to build upon them for the forthcoming academic year. Our results have undoubtedly improved – and I am certain that our college-wide focus on improving residential and learning support systems has provided a sound platform for academic success. Thank you to all the staff for their unstinting support of our outgoing second years – the class of 2014. The last two months have seen new and old tensions emerging across the world – from the intensifying conflict in Ukraine to hostilities in Gaza, from civil war in Iraq to abductions in Nigeria. The death toll in Syria increases as the world looks on. Last year, we invited Sven Mollekleiv, the President of the Norwegian Red Cross, to deliver the annual Constitution Lecture in May – he told us that more Red Cross delegates (present in all 14 regions of the country) have been killed during the Syrian conflict than throughout the entire Second World War. The respected international immunity of the Red Cross symbol is under threat for the first time in its history. The news of this summer serves to remind us that we must be faithful to our UWC founding mission – and that we must seek to promote moral and social responsibility and to understand perspectives other than our own. The shared experiences and conversations with students and staff from many different cultures, religions and countries is, I believe, part of the magic of an education at Red Cross Nordic. I must admit to having been gripped with World Cup fever throughout the first half of the holiday – 32 nations represented with a record TV audience of over 1 billion across the world – with teams honouring the spirit of Brazil’s jogo bonito (beautiful game), unforgettable moments, goals galore, tears of ‘triumph and disaster’, national mourning for unexpected defeats alongside predictable controversy from alleged biting to penalty shoot-outs. All of us will have our favourite moments from the tournament. The countries hosting UWC Colleges were well represented in the quarter finals – with the German, Dutch and Costa Rican teams all playing some beautiful football. Daniel kindly invited me over to his house to watch England’s game versus Uruguay and consoled me as Luis Suarez’s sharp shooting condemned my team to an early departure from the tournament. Of course, we should not forget – nor will Daniel perhaps allow us – that his team, the Ghanaian Black Stars held Germany, the eventual winners, to a 2-all draw in the qualifying stage. And controversy undoubtedly lurked around the fringes of the tournament – from protests about the cost of hosting the tournament to the death of eight construction workers, from breached security to the collapse of a bridge. The biggest single sporting competition in the world concluded with the German team winning and holding aloft the glistening golden trophy, which is perhaps the embodiment of every footballer’s ambition. I had never before really looked at the World Cup trophy in detail before – in fact it is a sculpture, rising in spirals to form the shapes of two human figures, two athletes stretching out to hold up the earth. To me, this dynamic sculpture catches the beauty of teamwork, the sense of ambition and the stirring moment of victory. And I take this image as my metaphor for all of our students here today – your two years here will test your ability to work in a team, to develop your ambitions and, in some sense, to develop your ability to hold up our fragile earth. 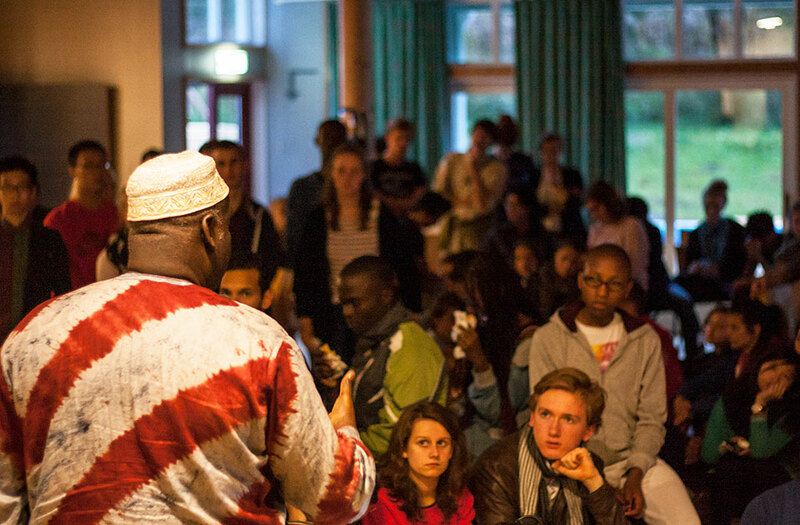 We, within the United World College movement, see our role as striving to unite people, nations and cultures for peace and a sustainable future, not through sport, but through education. Participation and effort are the fundamental criteria, and you must expect many challenges and opportunities to participate in activities that you may never have had before. It is important that you take full advantage of the curricular and extra-curricular opportunities available in our unique Nordic setting. RCN is not simply an academic stepping stone to university and we expect our students to be committed to tackling the challenges presented by this opportunity to live and study in the Norwegian fjords. All your National Committees have been specifically encouraged to select students for RCN who will take up the challenges of living in our remote and wilderness environment – there is a wonderful world here beyond the triangle of the student village, the kantine and the classrooms. Please be warned – occasionally students come to see me and explain that they feel that some of the staff are not confining their teaching to the IB syllabus. I respond by saying that I am delighted to hear that our teachers are not only delivering the syllabus but also enriching your learning by going beyond the curriculum and exploring interdisciplinary connections, topical case studies and much more. In no way is this college an IB exam factory – we want to cover the syllabus but also to fire your curiosity, your imagination. This is what university admissions teams are looking for – those who can think independently, intelligently and elastically and not those simply content in regurgitating syllabus content. The President of the Norwegian Red Cross took me aside last term to say that he was simply stunned by the quality of teaching, the quality of student discussion and the far-reaching global examples used to illustrate the dry theory of the textbook that he observed in a lesson during his visit. This is what we should aspire to in this College. Life at the College will be very full over the course of this year and I hope you will all find it exciting, demanding and rewarding. You will have to be careful to balance your academic programme and other commitments, and be responsible for managing your personal life in a mature and sensible manner. Indeed it is important to learn the balance of freedom and independence with associated responsibility and accountability. Living in the fjords, one can sometimes feel a little isolated from world events and for some Haugland, in Fjaler commune, might seem to be a remote, idyllic and peaceful place, untouched by human conflict – but it is also important to remember that we intentionally create a world in miniature – kamhlaba as they call it in Swaziland – here on campus with potential for the occasional eruption of tension and conflict within our community. It is so important for us, in our community, to be caring, careful and to avoid, to the best of our ability, the carelessness (whether delivered by email, in dialogue, or in gossip) which can be so damaging. We should think carefully about our individual human footprints on those around us. The three structural pillars of a successful and flourishing residential environment are compassion, conversation and companionship – and we must continue to work hard to sustain their central presence in our community. Aristotle, the Greek philosopher, wrote that ‘Educating the mind without educating the heart is no education at all’ – and we strive here at RCN to educate both your minds and your hearts in preparation for the world beyond. My final message for the academic term ahead is: work hard, connect, be thoughtful and mindful of others, and share a sense of place and belonging. 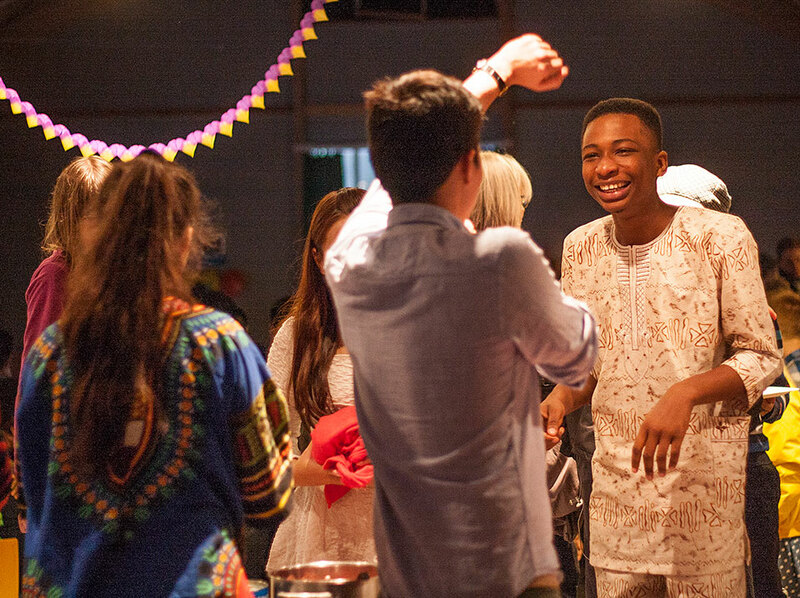 The college is, in essence, a community built from, and upon generosity. It is our common responsibility, as individuals and as a community, to strive to make RCN a safe, secure and happy place to study and live. Please avoid the trapdoors of entitlement, critical and negative commentary, and self-righteousness – we must nurture the essential ingredients of humility, grace and generosity of spirit. As Rektor, I expect the staff to act as role models for the students in both spirit and action and to lead by example in terms of treating all members of our community with dignity and kindness. And please take full advantage of the opportunities presented to you over the course of the year. There are many impressive and worthy applicants to our movement who have not won places and do not therefore have the opportunities you have here at Red Cross Nordic – please remember that you represent yourself, your family and those who supported your application. We hope you develop here at RCN a lifelong love of learning, lifelong friends, a desire for adventure and a sense of the possible. We have an exciting year ahead of us.